2016 Recipient of the Ruvin Bun Award — Viktorija Kazlienė | Remembering Litvaks, Inc.
On September 8, 2017, the Rokiškis Regional Museum announced that the 2016 recipient of the Ruvin Bun Award was Viktorija Kazlienė, the director of the Molėtai Regional Museum. Ms. Kazlienė was one of the key organizers of the August 29, 2016, “Malat March,” which drew over 3,000 ethnic Lithuanian participants to remember the Jews who were killed in Molėtai in 1941. She also wrote a book about the march and has worked to have several bi-lingual Lithuanian-Yiddish signs installed in Molėtai. A documentary film about the march, The Last Sunday in August, premiered in Vilnius on September 24, 2017. The award presentation ceremony was held in the historic Tyzenhaus manor, where the principal offices of the Rokiškis Regional Museum are located. 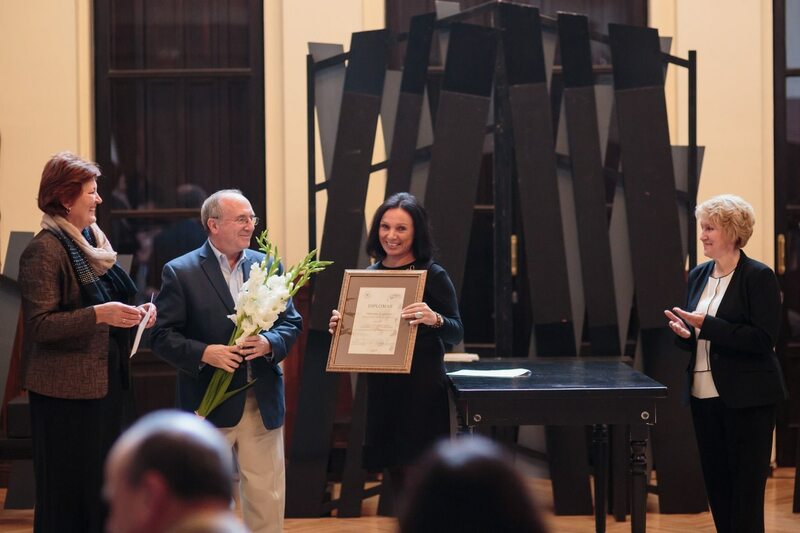 On September 8, 2017, the Rokiškis Regional Museum conferred upon Viktorija Kazlienė, the director of the Molėtai Regional Museum, the 2016 Ruvin Bun Award at the Tyzenhaus Manor in Rokiškis. From left: Nijolė Šniokienė, Director of the Rokiškis Regional Museum; Philip S. Shapiro, RLI; Viktorija Kazlienė; and Aldona Sudeikienė Shapiro, RLI. Credit: Giedrius Kujelis. 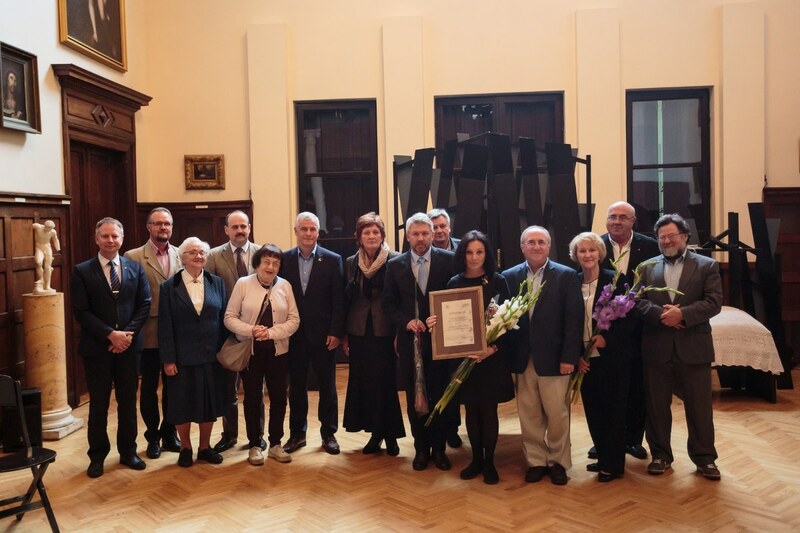 At the September 8, 2017, ceremony granting the Ruvin Bun Award to Viktorija Kazlienė, Director of the Molėtai Regional Museum Director. From left to right: Valerijus Rancevas, the Rokiškis Regional Municipality’s Director of Administration; Gintautas Matkevičius, the Deputy Director for Culture at the Molėtai Regional Municipality’s Department of Culture and Education; Genovaitė Šukytė-Grigėnienė; Rokiškis Regional Municipality Deputy Mayor Egidijus Vilimas; Prof. Irena Veisaitė; Member of Lithuanian Parliament and former Kupiškis Regional Municipality Mayor Jonas Jarutis; Rokiškis Regional Museum Director Nijolė Šniokienė; Rokiškis Regional Municipality Mayor Antanas Vagonis; Algis Gurevičius, Director of Lithuania’s State Jewish Cultural and Information Center in Vilnius; Viktorija Kazlienė; RLI representatives Philip and Aldona Shapiro; Panevėžys Jewish Community Chairman Gennady Kofman; and Syracuse University Professor Samuel D. Gruber. Credit: Giedrius Kujelis.